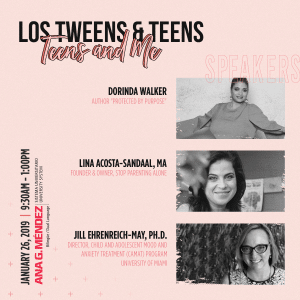 Los Tweens has partnered with Hispanic CREO’s Futuro 2020 campaign to bring you a series of posts and videos on parental involvement, education reform and celebrating children’s achievements. Throughout the Fall of 2013, we will be sharing with you more information on ways that you can be involved with your child’s education – from tips and advice to important changes in education that affect us all. We’ve partnered with three moms in Texas, New Mexico and Arizona to share with us what they are doing this year. 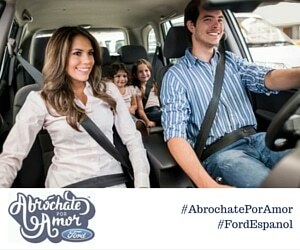 The #Futuro2020 and #CelebrateEDU series is a compensated program with Hispanic CREO and Los Tweens. However, all opinions expressed are as always our own. My abuela always made sure that I understood that education was key to success. She wasn’t wrong. Research continually proves there is a direct correlation between a person’s education level and salary. 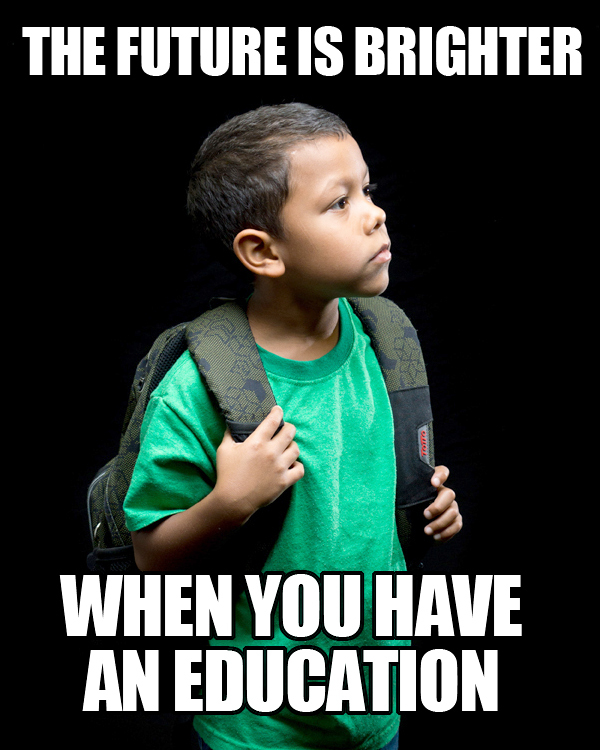 With a quarter of the U.S. Hispanic population living below the poverty line, is education the key to a brighter future? If you ask President and CEO of Hispanic Council for Reform and Educational Opportunities (Hispanic CREO) Julio Fuentes, the answer would most certainly be “yes” or “claro que si!” We interviewed Julio about Hispanic CREO, their new initiative Futuro2020 and asked him for tips and advice for parents. Los Tweens (LT): Explain to us the goals of Futuro2020 and why we should all get involved. Julio Fuentes (JF): Futuro2020 is a national campaign to raise awareness on the educational struggles Hispanics face. It’s goals are to elevate the conversation, create new policies and have a seat at the table when legislative discussions on school choice, common core and educational bills are being discussed. All of these topics affect our communities and we need to be aware and have a voice. LT: What is a misconception that you feel parents have about education? JF: The idea that schools are in charge is false. PARENTS are in charge. They are responsible for watching over their child’s education. It’s a two way street and we all have to do our part. Parents need to be vocal and active in their community, informed of what is going on nationally and most importantly know who their elected officials are because they are the ones that create change. 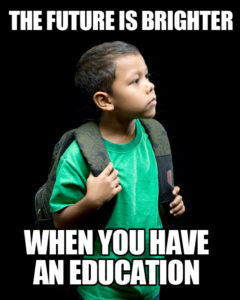 LT: Are there any warning signs for parents that signal the need for an education intervention for their child? JF: Often times, parents see that there is a problem and dismiss it as “just a stage” or “he’s at that age.” That’s an incorrect response and the opportunity to intervene is being passed. Any change in behavior and grades signals an opportunity for parents to become even more involved and concerned. Acting EARLY is an essential part of a successful outcome. FUTURO2020: WHAT DOES THE FUTURE HOLD? Mr. Fuentes brought up great points in our interview that we’ll be discussing more in depth as the series continues. But our key takeaway and something we are asking all of our Los Tweens padres to do is become more involved in the educational issues that affect not only your children, but all children. It’s a NEW SCHOOL YEAR- there is no time like the very present. Helping drive strong education among our growing youth surely is the most important thing we can do for our future. The phrase ‘juntos podemos‘ or ‘together we can’ has never been more true. Follow us along our journey for a better education for all of our children by visiting LosTweens.com, following #Futuro2020 and #CelebrateEdu on Twitter and Facebook and check YouTube for our videos. To learn more about Futuro2020, visit www.futuro2020.org and sign up to receive updates on Futuro2020 by texting FUTORO to 53886. This entry was posted in Raising Tweens, Teaching & Education Tips and tagged bilingual education, Celebrate Education, CelebrateEDU, Child Devlelopment, children, Educacion, raising tweens. Bookmark the permalink.